DJ Mast Productions: The best DJ Entertainment and Lighting Production in Lancaster, Harrisburg, York, Philadelphia and beyond. DJ Mast Productions creates custom mixes, event sound and event lighting production that make lifelong impressions for clients and their guests. → Want to get to know how we work in more detail? Check out some photos and answers to common questions! DJ Mast Productions, LLC is a Central PA DJ and lighting production company, based in Lancaster, PA. We provide best in high quality DJ entertainment, lighting and audio for Weddings, Parties, Formals and Clubs in Central Pennsylvania. DJ Mast Productions performs in Lancaster, Harrisburg, York, Philadelphia and beyond. We will travel any distance to produce your event's entertainment and lighting. 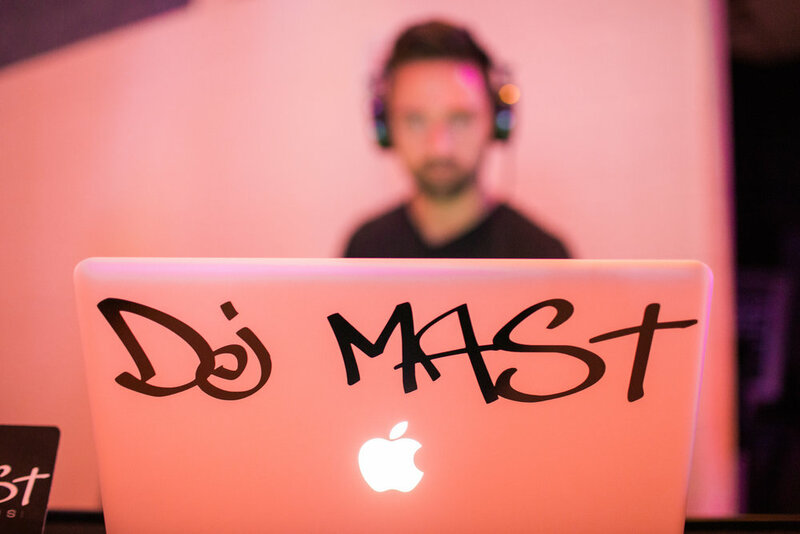 DJ Mast Productions, LLC is centered on a client-focus and creates custom DJ mixes, sound and lighting that make lifelong impressions for clients and their guests. We specialize in professional entertainment that facilitates relationship, quality social atmospheres and high-end dance party experiences. Our goal is to be flexible and courteous while delivering passion, energy and respect in each performance. Make your event memories vivid through DJ Mast Productions, LLC.